Remember to turn up/on your sounds/speakers to enjoy the whole experience. Give us a call on 01253 351599 or send an email to enquire about availability of our comfortable bed and breakfast accommodation. We’ll be happy to answer any questions you have – just get in touch. Enter Promo Code FOSSIL = 10% Discount.
" FOSSIL " on the booking. 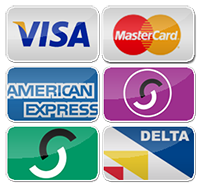 or any other booking site. My wife has stayed here 3 times but this was my first. Arriving we were able to park in the hotels private car park which is a bonus in Blackpool. We were all given a very warm welcome and shown to our room which was very nice and spotless beds very comfy and being in the location it is no noise from hen/stag nights in the middle of the night which was brilliant. Breakfast was probably one of the best that I have had cooked for me in a hotel all cooked to order Brilliant location with beautiful sea views from our room, handy tram stop directly over the road & lovely walks along the Beach which is directly over the road We will be rebooking the Fossil Tree Hotel for next year as soon as the dance competition dates are released as its like a home from home I cannot rate it highly enough. 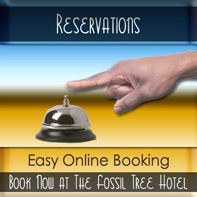 © The Fossil Tree Hotel - All Rights Reserved.